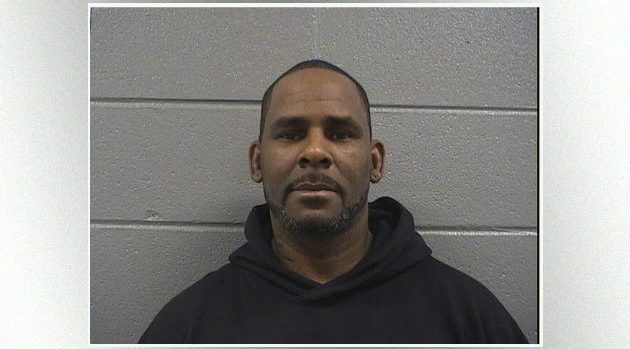 Cook’s County Sheriff’s OfficeDuring his interview with CBS This Morning‘s Gayle King, R. Kelly was near tears when he said he was “trying to have a relationship with his children” amid the criminal sexual abuse charges he’s now facing. But his failure to support those children has now landed him back in jail. Wednesday in a Chicago courtroom, Kelly was led away in handcuffs because he owes $161,000 in back child support. His next court date is March 13. His bond has also been set at $161,000, and he must pay that amount in full in order to be released from custody. Kelly was jailed several weeks ago after being arrested and charged with 10 counts of criminal sexual abuse involving four women. He remained in jail for several days because he was unable to pay $100,000 — 10 percent of his million dollar bond. It was ultimately paid by a woman who described herself as a “friend” of the singer. Kelly’s next court date in that case is this Friday, March 8.